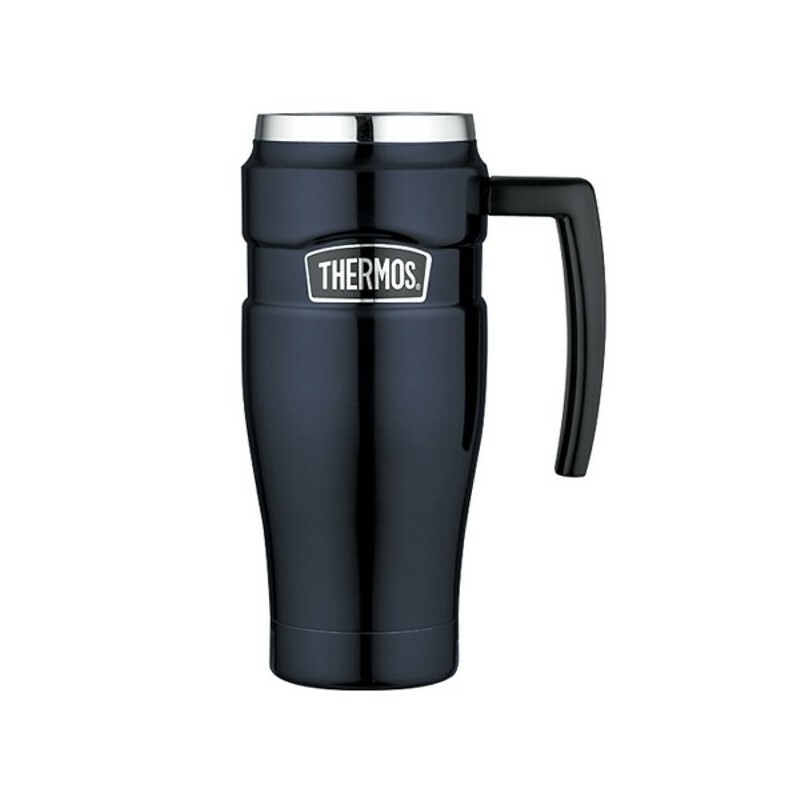 Thermos King stainless steel double wall insulated travel mug in midnight blue with. 470ml capacity. The Thermos King range of double wall vacuum insulated travel mugs will easily keep your drinks hot in winter or cold in summer. 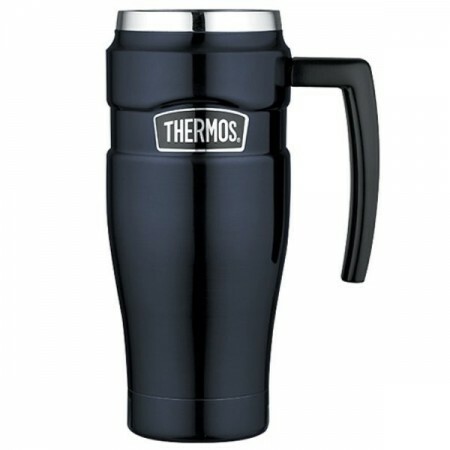 This midnight blue colour Thermos stainless King 470ml travel mug insulates contents hot for 3 hours and cold for 6 hrs. Take it with you and drink anywhere on the go with its easy to grip handle. Its tapered design makes it the perfect fit for cup holders. Buying a good quality reusable item saves resources and waste going to landfill. Stainless steel is 100% recyclable at the end of its useful life. Stainless steel does not retain or leach flavours or harmful chemicals. Double wall vaccum insulation keeps drinks cold for up to 6 hours and hot for up to 3 hours. Wide mouth for easy filling and leak proof lid for safe drinking while on the go. 20cm H x 6cm W (at the base). Christmas gift for my father - very happy and works great!